Circle of Excellence Recipient~ Kim Borsheim will put together for you a Comparative Analysis~ Need a comparative market review on your home or property, Kim will compile a custom analysis for you, showing you the market and trends. Need a handy man, plumber, electrician, appraiser, local doctor, insurance company, inspector, title company or a lender. Kim will be your Real Estate Resource person with her wonderful network of reliable professional connections and put you in touch with what your needs require. Kim can assist you in achieving your goal! Call Kim Borsheim today! Kim Borsheim North Idaho, Coeur d'Alene and surrounding area the Best kept secret! Twenty two years ago, Kim and her husband Mark, visited beautiful Coeur d'Alene, Idaho from Saskatoon Saskatchewan, Canada. It was within their three day trip they fell in love with what Coeur d'Alene had to offer and decided to move to captivating Coeur d'Alene. Life here has been fun, full and rewarding. Over the years raising their family, they have enjoyed golfing, sking, boating, soccer, all the school and community activities, Coeur d'Alene's fine restaurants and local theaters. Kim and her husband Mark have been and are very active in their church, and the community supporting, volunteering, and working. The Coeur d'Alene/Hayden and surrounding area is home! One of the best decisions they will tell you they have ever made. North Idaho Kim Helping YOU Find a place to call home...........How exciting! Kim can make it happen for you! Kim can and will be honored to assist you in making Coeur d'Alene, Hayden, Post Falls and area your home.You will discover Coeur d'Alene and surrounding area inviting, warm and friendly, schools dedicated to teaching, crime rate low, the great outdoors full of adventure waiting for you to experience. Whether it be golfing the floating green of the famous Coeur d'Alene Resort to snowmobiling or skiing the snow covered slope of Schweitzer, to enjoying boating or fishing the refreshing waters of Lake Coeur d'Alene you will discover the beauty here. Kim is ready to find you your dream home and to negotiate the best value, benefits and price for you and your new home! Put Realtor Kim and her Windermere Team to work for you! Kim Borsheim Selling Your North Idaho home......Bottom line there is a lot to do! Kim can and will help! Oh, yes... Kim Borsheim understands the frustrations and stress involved in selling a home, Let Kim assist you as your trusted adviser, she can carefully navigate you through all the stages of marketing and selling you’re home or investment… Ask Kim About Staging your home as a added bonus!……Kim will not stop there! As a certified negotiator, Kim can negotiate the very best price for you. Then, she will continue to guide you through your closing transactions. Kim is here for you! 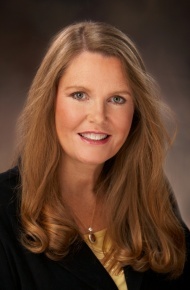 Let Kim Borsheim and her Windermere Team make it easier for you,....So you can focus on your plans and dreams! Call Kim Borsheim 964-2357.